Do you know someone who’s always in the wrong place the wrong time? 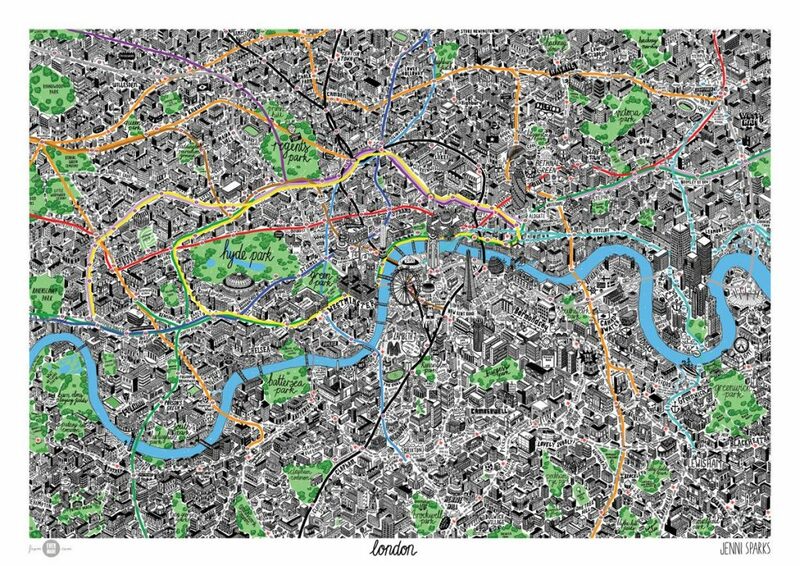 These illustrated London maps might make the perfect gift. They can put it up in their bedroom and hopefully absorb some geography by osmosis. All available from London gift shop We Built This City. 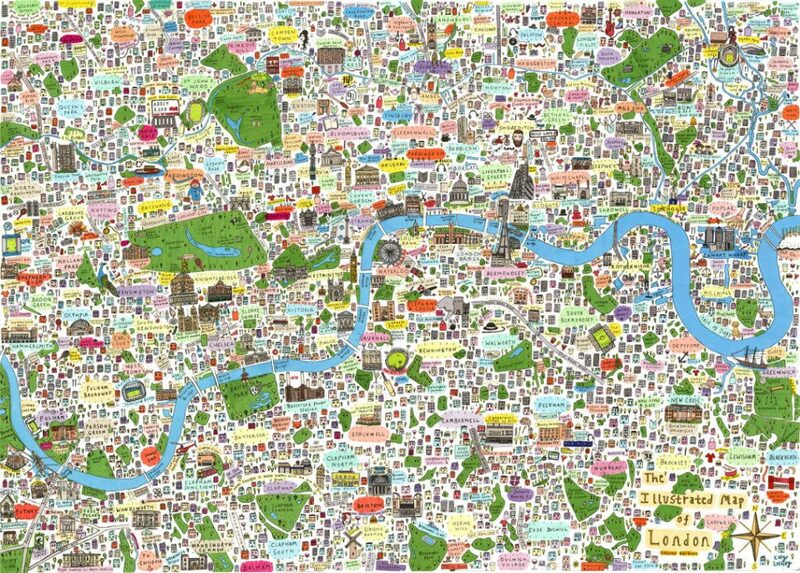 This gorgeously detailed map of London is full of quirky and original details, capturing local landmarks across the city. Get it here. 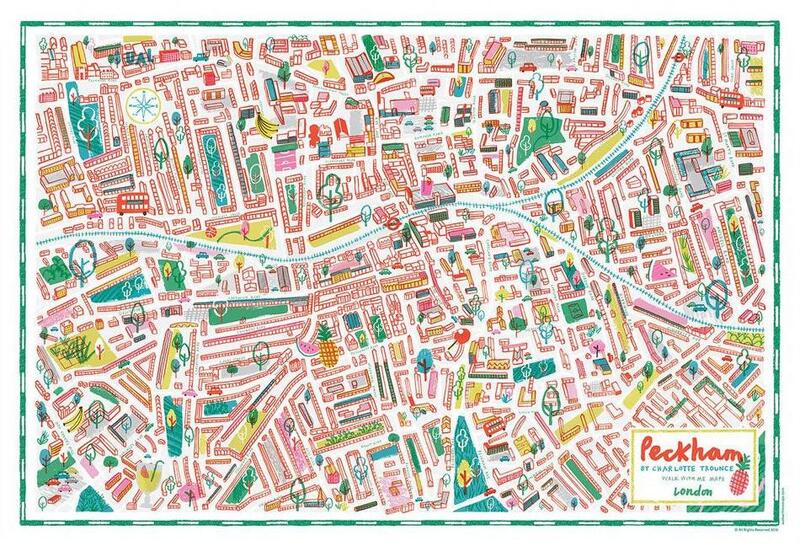 This cute and colourful map of London highlights all the city’s most famous neighbourhoods and would brighten up any space, we reckon. Check it out here. 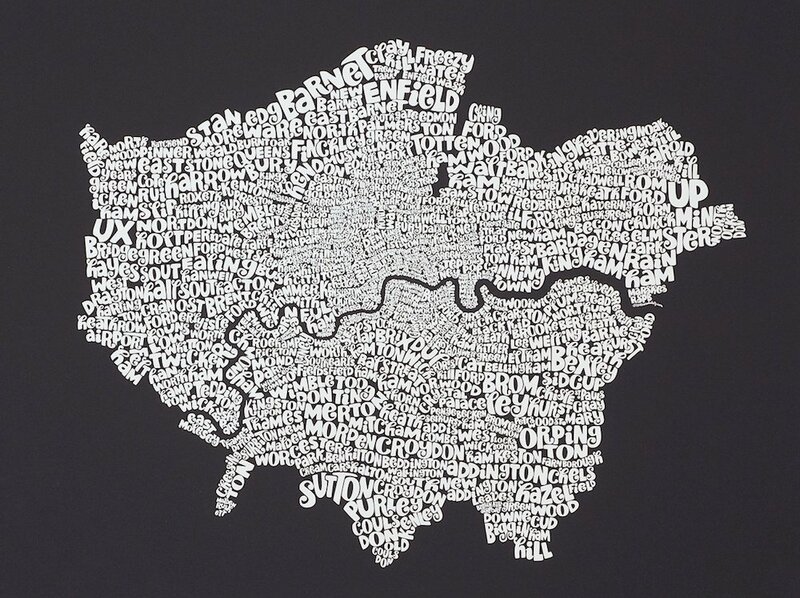 Look closely, and this typographic riot actually depicts every area of London. A jaunty yet minimal print fit for any wall. Grab a limited edition copy here. 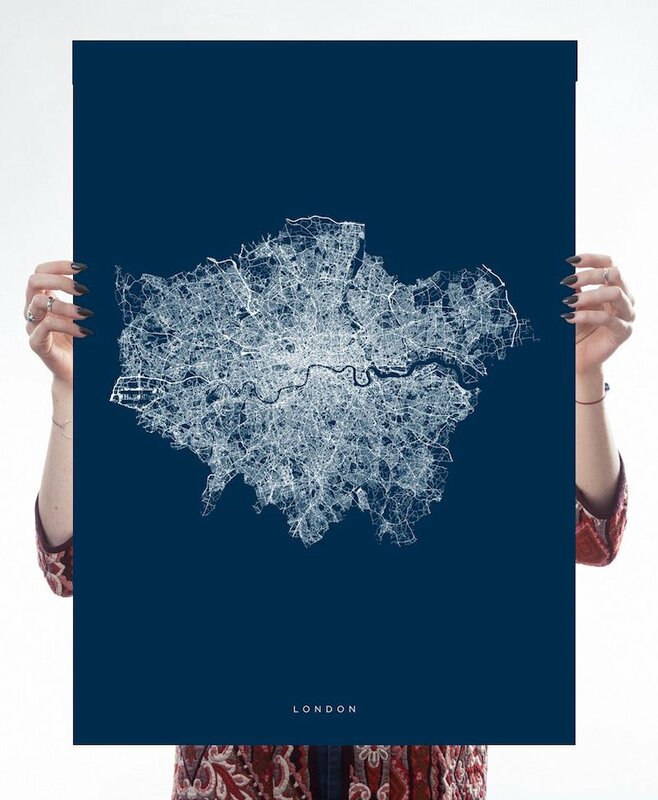 OK, it might not help you get anywhere, but this print captures every last road and path in the city, creating an elegant impression of London as a fragile network of manmade capillaries. Sort of peaceful, isn’t it? Get it here. This hand-drawn map actually more closely matches the tube’s genuine geography than the iconic TfL layout. So handy for learning where things actually are, as well as how they’re connected. Plus, it looks nice! Pick up a print here. 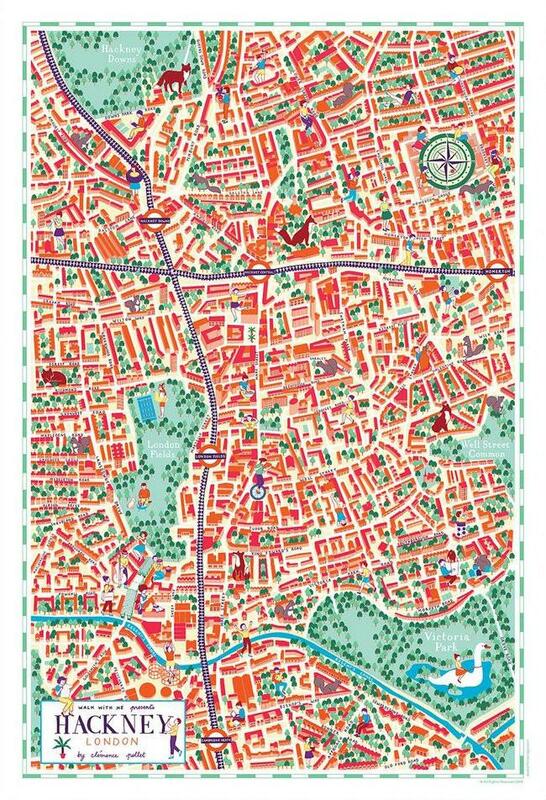 Martina Paukova’s brightly coloured map of Dalston & Stoke Newington might be just the thing for an east London houseshare. And it’s only fifteen quid! Get a print right here. Based a little further east? 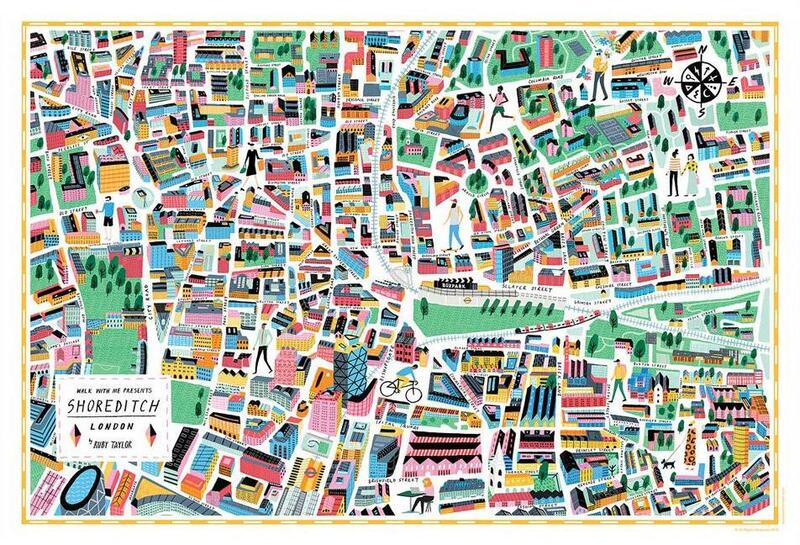 This pretty map of Hackney, as drawn by Clemence Pollet, could be gracing your living room. Buy one here. 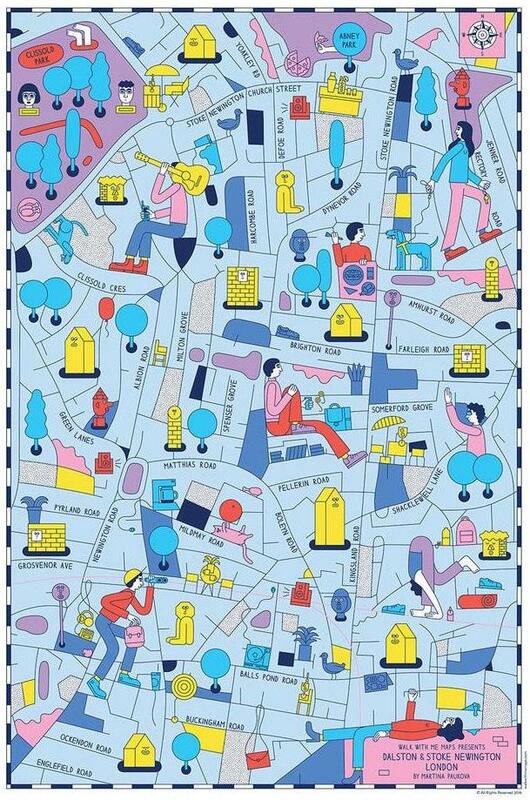 This lovely creation from Ruby Taylor might just help you get less lost in Shoreditch. Might. Adorn your abode with one from here. 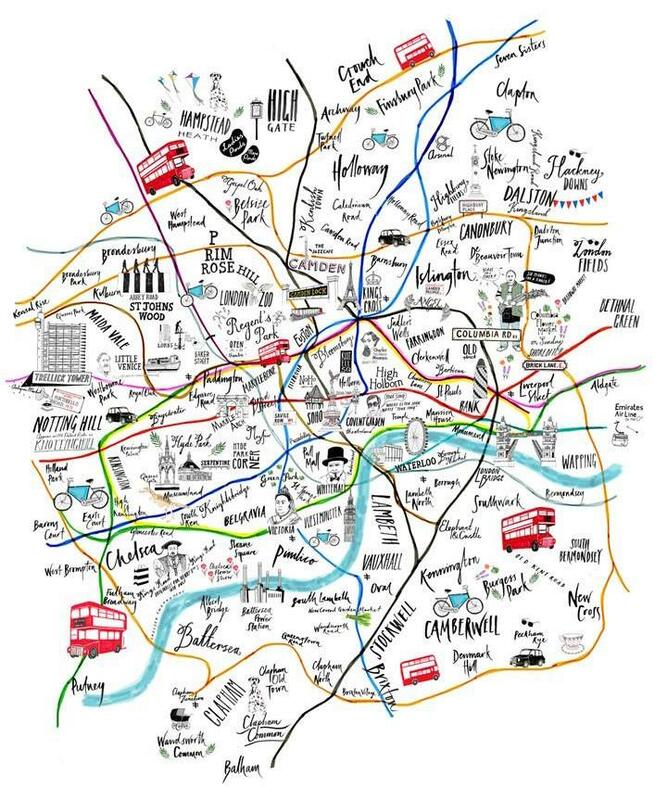 This child-like map of the centre of south London’s hipsterverse, with illustration from Charlotte Trounce, is rather charming. Get one of your own here. For more: gifts for witches, gifts for hipsters, Christmas jumpers for vegans and charming markets for Christmas shopping.